Predictions that 3D movies would be the wave of the future are even older than the talkies. But back in 1935 the so-called father of science fiction gave his prediction for 3D films an even bolder twist: By 1945, audiences would be able to watch 3D movies without having to wear those silly glasses. The October 1935 issue of Everyday Science and Mechanics magazine included an article by editor-in-chief Hugo Gernsback. The article outlined the progress that had been made in technologies like the telephone, the locomotive and the radio and looked to the future of movies. Specifically, the future of 3D movies—coming soon with smell-o-vision! What is the next step? Obviously, the three-dimensional or stereoscopic motion picture. All films thrown on the screen today are flat; they do not stand out as does, for instance, a stereoscopic picture. The characters move in but two dimensions, whereas they should move in three. In order to heighten the illusion of the motion picture, the characters must seem to stand from the screen. It is true, stereoscopic motion pictures have already been produced many times, but not satisfactorily, because you require a special set of eyeglasses to view them, and this is a bad stumbling block. No audience will stand for this indefinitely. Science, no doubt, will solve this problem so that, with the bare and unaided eye, you will see three-dimensional motion pictures. I am certain that the problem will be solved satisfactorily during the next ten years. Gernsback believed that the evolution of movies was almost pre-determined in its path towards more realism. He argued that color film was making great strides and that it would soon be a mainstream reality in theaters around the world. But what makes a film ostensibly more "real" picture is one of the great movie debates that has been waged since the dawn of the medium—and we still can't decide what it means here in the 21st century. What is the goal of the movies? Is it to create a perfect depiction of reality? And how do we define that reality? After that, what? It should be noted that, after all, motion pictures are only an illusion. While you view the screen you know all the time that you are not looking at living characters; but, the closer the art comes to this and the more perfect the illusion, the greater will be the acclaim by the public. What further illusion can we have from motion pictures? We can now hear them, as well as see them in colors. It is too much to hope to feel them but, anyway, the three-dimensional movie will not make this necessary. Obvious- ly, we cannot hope to taste them. One other sense is left open, and that is scent. And here the technicians during the next twenty years will no doubt evolve marvels. This would be done by "scent organs" from which pipes a r e carried through the auditorium; then, by forced draft, the various scents could be wafted over the house to the delight of the audience. Some years ago, in a New York theatre, a musical comedy had an elaborate scene of an orange grove. The idea that smells would one day be their own entertainment certainly predates this prediction from Gernsback, but this is the earliest instance of incorporating smell machines with movies of the future that I've ever come across. Today, you need look no further than Disneyland to find the "smellitizers" that accompany 3D movies like It's Tough to Be A Bug! and MuppetVision 3D. Outside Disneyland you can even get all the ambient thrills of various 4D movie technologies with not only smell-o-vision, but back ticklers and in-house strobe lights. Of course, glasses-free 3D has been around for a while now, albeit in prototype form. But it's still a long ways off from being available in a movie theater; it couldn't even get to TVs in time to save 3DTV broadcasts. As for smell-o-vision, if decades of cinema has taught us the only scent you need to bring a movie to life is lightly buttered popcorn. 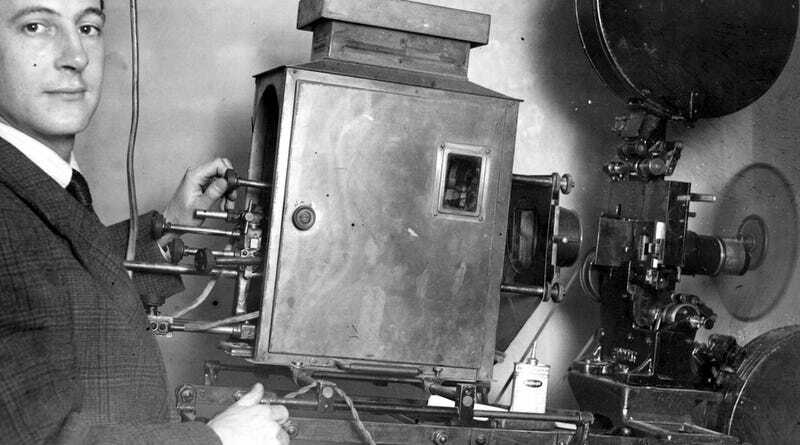 Image: 1930, Getty Images "Lord Ossulston operates the cinema projector in the cinema opened on his estate."